If you recently replaced your Honda battery, your Honda will ask you for the radio code. Most of the time, you can hold down the power button for about 2 seconds, and the radio will automatically reset with no code needed. However, if this doesn’t work, you will need to enter your Honda radio code. Here we’ll discuss how to get the Honda radio code for your vehicle! First, look for the radio code in your owner’s manual or on a sticker inside of your glove box. 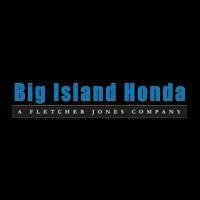 If you can’t find it there, you can also have a team member here at Big Island Honda locate it for you. Another way to find your radio code is to look up the code using Honda’s code retriever. You will need your zip code, phone number, email, serial number, and VIN number to successfully find your code. The VIN number can be found in a few different places in your car, including the bottom of the windshield and on your registration. Your serial number, too, can be found in a couple places, depending on how old your model is. If you have a 2002 or newer Honda, while turning on the radio, push the 1 and 6 preset buttons at the same time; a 10-digit serial number will show up on the radio display. Use the radio preset buttons to enter your given radio code. If your Honda is a 2001 model or older, you’ll need to remove the radio to see the code, as the radio code is printed on the casing of the radio itself. If you do not feel comfortable doing this on your own, one of our certified technicians can remove and reinstall the radio for you. Simply use the radio preset buttons to enter your Honda radio code. After entering the code, your radio should work normally. Contact us at Big Island Honda in Hilo & Kona, located near Kamuela and Honokaa, with additional questions about finding your vehicle’s radio code. Have any other questions? Whether you’re looking for the best seasonal activities in Hilo or need to know which Honda models can fit a surfboard, our team is happy to answer any questions you may have. 0 comment(s) so far on Are You Being Asked for Your Honda Radio Code?